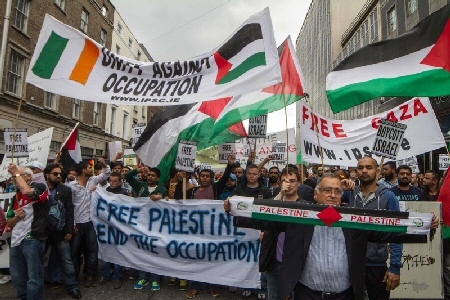 The Ireland Palestine Solidarity Campaign announced, on Monday, that its accounts had been closed by the Bank of Ireland. The group also described the bank’s decision as “an attack on Palestinian rights and BDS,” the boycott, divestment and sanctions movement. According to TheJournal.ie, an Irish news website, the bank has refused to comment about its decision. Squires said that the campaigning group had sent just $1,350 to Palestine in the last financial year, mostly to buy Palestinian scarves. Politicians in Ireland have slammed the bank’s unexplained move. “Bank of Ireland should reopen the account, and offer a public explanation as to why this happened in the first place,” said McDonald. Continue reading at the the Electronic Intifada.